While two-thirds of career servicemembers support plans to add defined-contribution elements to their retirement system, most prefer the current system for themselves, a survey found. The First Command Financial Behaviors Index found recently that 70% of middle-class military families who plan on serving at least 20 years and collecting full retirement benefits would prefer the current system to the blended retirement system proposed by the Military Compensation and Retirement Modernization Commission in January. 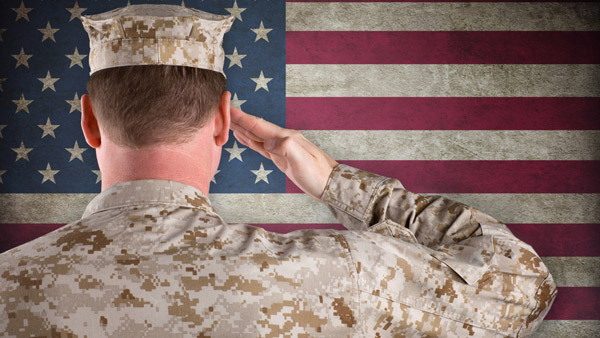 Currently, members of the military who serve 20 years are eligible for retirement benefits. As of September 2012, less than half of officers and only 17% of enlisted servicemembers remain in the service for that time. EBRI found that as of 2011, less than half of Americans were covered by a DC plan. The National Defense Authorization Act for fiscal 2016, which was vetoed by President Barack Obama on Oct. 22, would have reduced the current payout by about 20% with a continuation pay bonus for those who stay in the service past 12 years, according to the Military Times, and introduced an option for servicemembers to take a lump sum payout of their entire retirement benefit at 20 years. Spiker expressed relief over the veto. “With President Obama’s recent veto of the National Defense Authorization Act, we have additional time to think through the implications of these potentially irreversible changes,” he said. While few career military respondents (the ones who would be eligible for traditional retirement benefits) were in favor of the proposed changes for themselves, most supported retirement reform that would provide benefits for people who don’t serve the full 20 years and would otherwise be ineligible. Two-thirds of respondents said they supported a blended system because it would increase “the amount of people who would be eligible for benefits” and “provide more financial benefits” for servicemembers, according to First Command. “Servicemember families are sympathetic to the notion of offering new benefits to those who do not serve long enough to earn the traditional lifetime pension, even as they oppose changes that would reduce the size of their own pensions,” Spiker said. He added that the mix of both support for and opposition to retirement reform in the military highlights the importance of understanding how changes will impact all servicemembers.